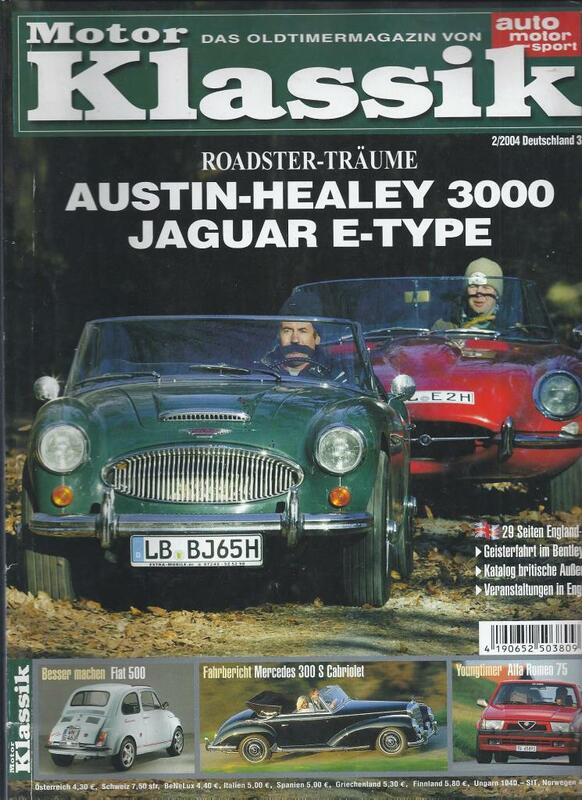 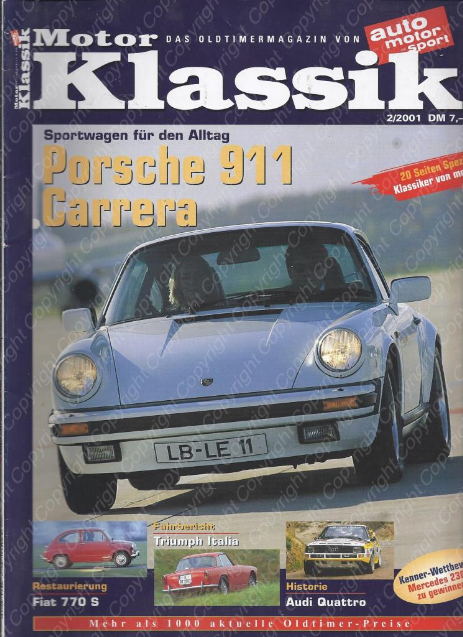 Themen: Porsche 911 Carrera, Fiat 770 S, Audi Quattro, Triumph Italia etc. 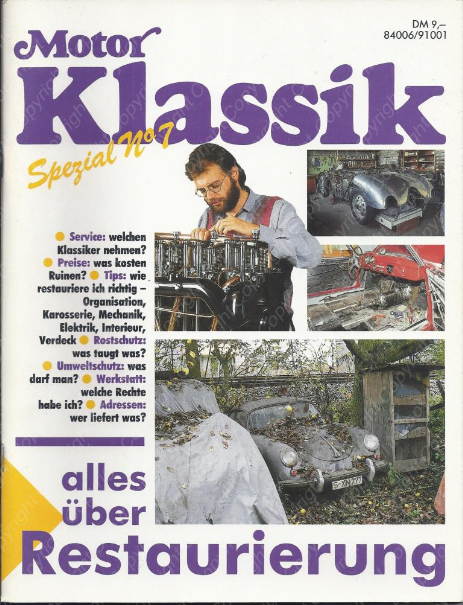 Mercedes 300 S Cabriolet etc. 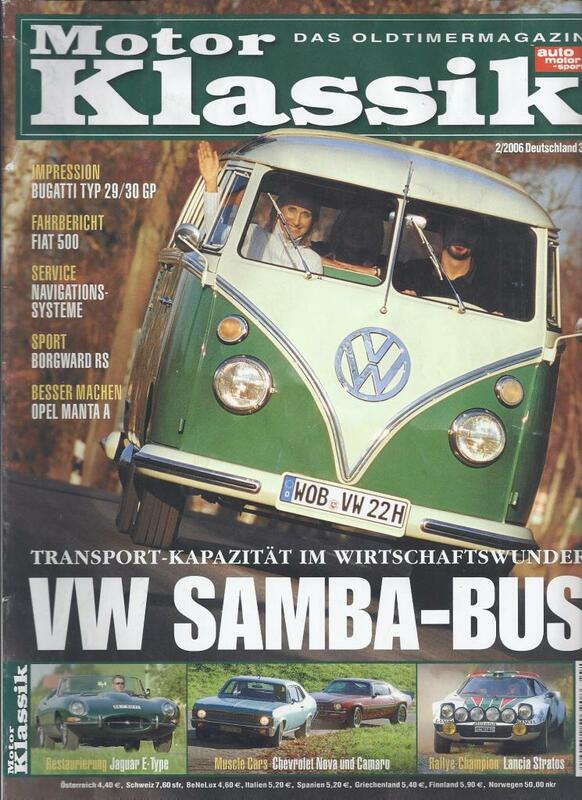 Themen: VW Samba-Bus, Lancia Stratos, Jaguar E-Type, Chevrolet Nova und Camaro etc.